For a the past two years being an OFW, I live paycheck to paycheck. My monthly transition goes something like this - sending remittances, make a budget for current bills, save money (for next vacation, for material things, to fix our house, etc.) and the remainder I spend on whatever. Luckily, I don't have credit cards to fund a lifestyle that was beyond my means but I did spent my money quickly. I thought of material things equals wealth. Until there was time when my paycheck arrived late, I need to pay monthly rent and need to send money back home. As a solution, I borrowed money off to my boyfriend to pay those things. It was stressful. I just felt tired of depending completely on my next paycheck. Living paycheck to paycheck was like "Isang kahig, isang tuka". I cannot buy and pay anymore stuff until I receive my next paycheck. No investing, no savings, no emergency funds. But this is not good idea, you can maintain a paycheck to paycheck lifestyle if you’re not taking on new debt, you have fixed monthly income (and if emergency doesn’t strike) but we don't know what tomorrow can brings. It took me awhile to step back and realize that in order for me to get different results I should do the things I've never done before. Today, things have gotten better, although I’m nott fully funded yet. I have begun saving. I’m also planning for stocks investment, a little travel, and a simple house. I started saving slowly and faithfully. Part of my income goes to insurance, emergency funds and now I started to lived within a budget. Here are some ideas that worked for me. A goal without a plan remains just a goal, plan to make it happen. 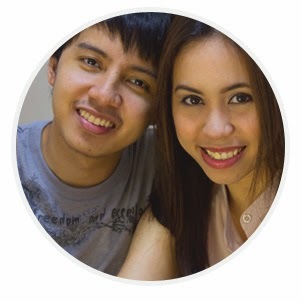 When do you want to start saving for your own house?Until when can you stay working as an OFW? Think about what you want in life, and start planning to save for them. This is a good way to go to consider. I have three accounts including an emergency savings, pesos savings and separate dollar savings account. It wasn’t much at first but in time, it made a difference. Before you do anything else with your paycheck always remember, a part of what you earn is yours to keep. After receiving my paycheck I head for the seperate bank the moment I get it. I make a deposit in my savings account before I spend any of the money. Figure out how much you can afford, know what goes into your pockets and what goes out. At least you know where your money needs to go. I packed lunch at least 3 days a week. If I eat outside I have a budget on my wallet. Simply live within your budget. These budgeting methods works for us. I've been using it lately and it's fun thing to do. Our main variable expenses is Remittance, House Rent, Utilities and Food. We categorized and put them on separate envelopes and jars. Grocery and Waldas Funds are on Jar while Remittances, Rent, Utilities, Everyday allowance are on envelopes. This is optional, but it’s a good tip. If you spend about what you earn, you are living paycheck-to-paycheck. If you spend more than you earn, you are acquiring debt. If you spend less than you earn, you get more savings. Now, I'm continuing my journey changing my mindset on how to handle money. How about you? 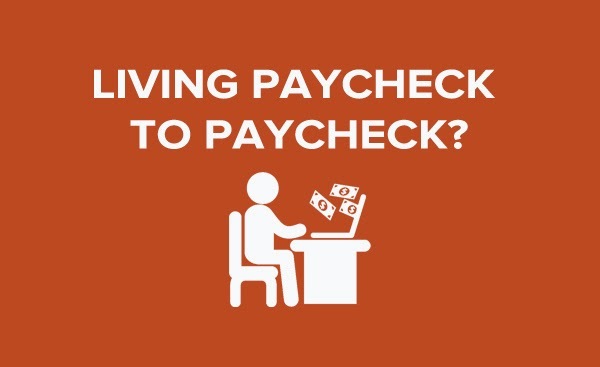 Are you an OFW living paycheck to paycheck? Share your story. Have a happy earning life!